One of Outlook's best features is the capability to create and manage rules on how your email is handled. These rules can can allow you to work with your email in any way that you like. For example when you receive a message you can handle it based on criteria such as subject, sender, your name in the CC list. Mark messages - flags, colours, fonts etc. Creating the rules are quite simple, as Microsoft have provided a wizard to do it for and some templates to get you started. 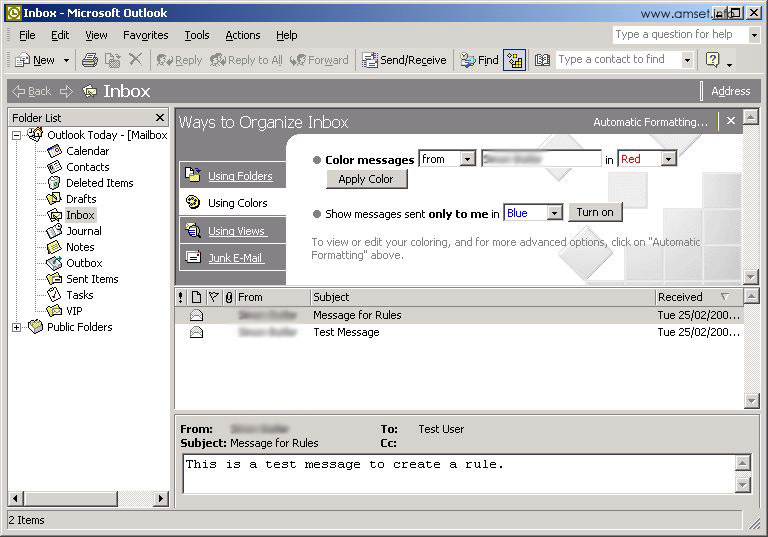 With Outlook 2000 and later, you can create a basic move/copy rules and colouring rules (where a message is coloured differently) from the main screen. 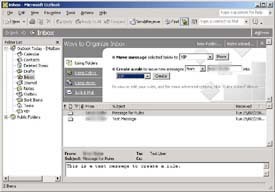 Screenshots from Outlook XP - similar to other versions. If you are creating a rules to move messages to another folder, make sure that you have created the folder before you start to create the rule using File, New, Folder. 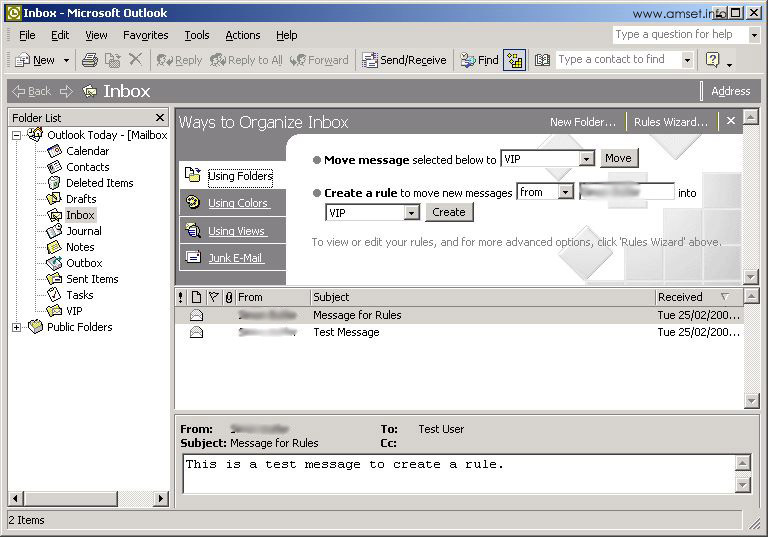 Find the message that you want to base the rule on in Outlook and select it so that it is highlighted. Click on the Organise button. You will find this on the top taskbar - it is a yellow button made up of lots of squares, or in the Tools menu. In Outlook 2003 it has been removed from the top taskbar in the default view - you will find it in the Tools menu. You can now create the rule to move or by selecting "Using Colours" colourize the messages. Furthermore, by clicking on "Automatic Formatting" when in the "Using Colours" option, you can change how certain messages appear, including colour and font. 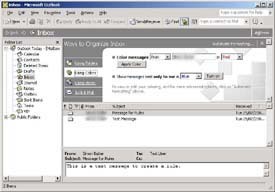 Using the "Rules Wizard" you can create quite sophisticated rules for handling the messages. 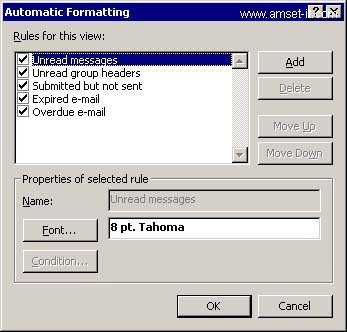 You can also refine any rules you have already created and see how modifying the rules slightly can increase the performance of Outlook. More Information.